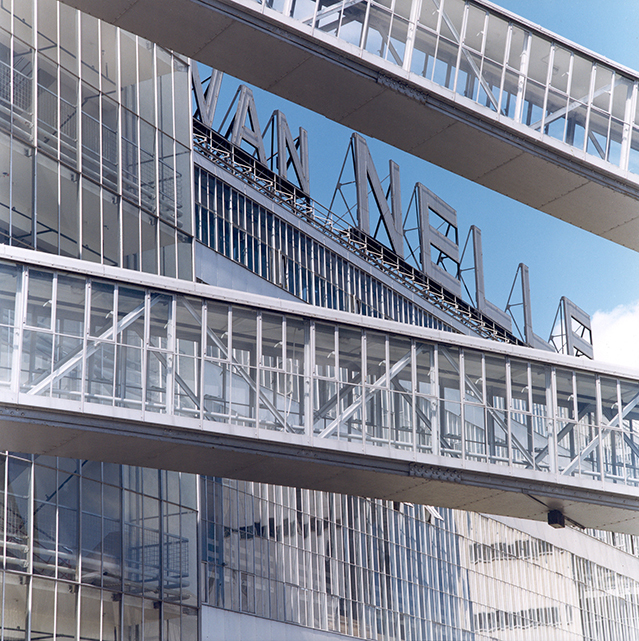 The Van Nelle Design Factory (Ontwerpfabriek) in Rotterdam is one of the masterpieces of Dutch Modernism. The building was designed as a tobacco factory by the architects Leendert Van der Vlugt and Johannes Brinkman and built between 1925 and 1931. It is of inestimable cultural and historical value, having the status of a nationally protected monument and being included in the UNESCO World Heritage list. The building, originally constructed for coffee, tea and tobacco production, was designed around the concepts of light, air and space. In the mid 1990s the factories were closed and renovation work started in 1998. Today it houses workspaces for companies in the area of design and communication as well as it is an attractive location for events, conferences, seminars, movie and theatre productions and photo-shoots.